China’s state-run media reported the country “must strike back” at Washington, after a US official made a diplomatic visit to Taiwan this week. The visit came days after President Donald Trump signed the Taiwan Travel Act which allows official visits between the two countries and has angered China. Beijing considers Taiwan a province of China and is wary of any attempt for the self-ruled island to be officially recognised internationally. As China steps up military pressure in the region it has warned of a “direct military clash” in the Taiwan Strait and said it may “set itself against the US” at the UN. China “must strike back” at Washington with countermeasures after a US official made a diplomatic visit to Taiwan this week, state-run media has reported. Alex Wong, US deputy assistant secretary at the Bureau of East Asian and Pacific Affairs, arrived in Taipei on Tuesday as the first official to visit the self-ruled island since Trump signed the Taiwan Travel Act on Friday. The new law encourages official visits at all levels between Taiwan and the US. The law has angered China as it considers Taiwan to be a province of the mainland under the “one China” principle. “We must strike back against Washington’s implementation of the Taiwan Travel Act,” Global Times, a foreign-focused government mouthpiece, said in an opinion editorial on Wednesday. The article outlined potential countermeasures the country could take, including blacklisting any senior US official who visits Taiwan, and Taiwan officials who visit the US, from entering mainland China while in office. China is concerned that the law could encourage a visit from the US secretary of state, or eventually a meeting between the presidents of Taiwan and the US. Doing so would essentially recognise Taiwan as its own country and potentially lead other countries to do the same, jeopardizing China’s claim to the island. On Tuesday, Chinese President Xi Jinping, who oversees Taiwan affairs, reiterated the country’s plan to eventually reunify Taiwan with China and declared “not a single inch of our land will be and can be ceded from China.” A day earlier state media said the Taiwan Travel Act would cause China to respond with “military pressure” against Taiwan, a position Global Times just reiterated. 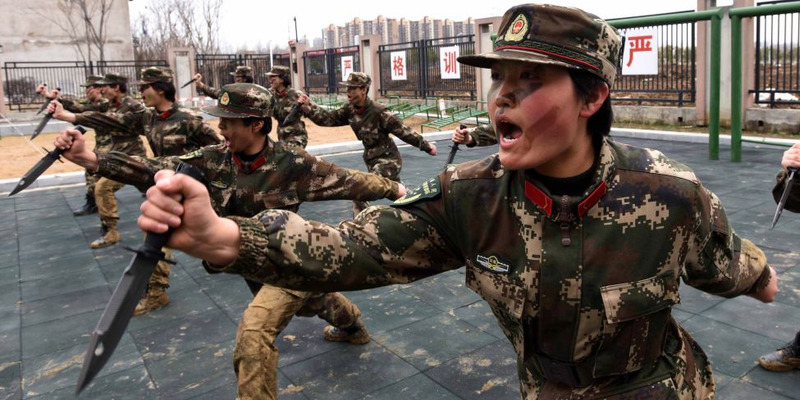 And Beijing has already begun taking military action. On Wednesday, China sent its only operational aircraft carrier through the narrow Taiwan Strait, which separates the two countries.